It’s been a while since I posted. Trip to Kansas, and my dog died, and June-July are absolutely the busiest time for tourism in Butte (I drive the Chamber of Commerce Trolley and lead historic walking tours in one of my other lives). This post is for another country: Madagascar. Government edicts and other problems can dramatically impact mineral production and trade, and the coup in Madagascar in 2009, combined with the worldwide recession, certainly did not help the mineral industry there. Madagascar had been the world’s leading sapphire producer – but in 2008, the government banned export of rough gemstones. Why would they do that? Because of one specimen, the Heaven’s Gift Emerald. A 536-kg (1,182-pound) emerald in matrix, it was declared a national treasure worth $150 million; the government said its exportation was illegal, although courts ruled otherwise, and the ban on all exports was instituted and continued until mid-2009. By 2010 the gem industry was recovering – led in volume by tourmaline at 43,000 kg produced in Madagascar (compare 2,100 kg of sapphires). Madagascar produces nearly 3% of the world’s titanium mineral concentrates (mostly ilmenite) but that ranks it #11. Australia and South Africa are the leaders, and the primary import sources for the US, which is 81% dependent on imports. The titanium dioxide pigment industry in the US is valued at about $3 billion, about the 7th most valuable mineral commodity in the US. Titanium dioxide finds its way into products from white sidewall tires to playing cards to Oreo cookies. Cobalt, nickel, and increasing chromite mining are expected to improve Madagascar’s role in global mineral supplies in the next few years. Vanadium, uranium, and zircon mining may also impact the industry on the island as those reserves begin to be developed. 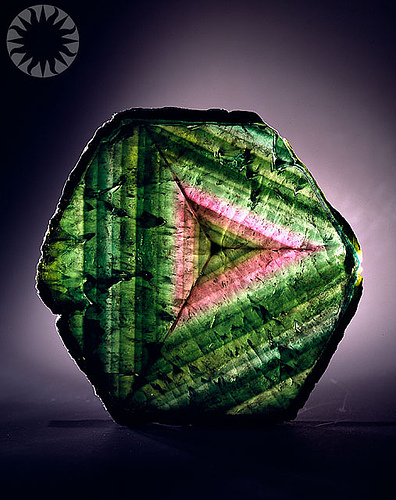 Photo: Tourmaline from Madagascar, credit: Laurie Minor-Penland (Smithsonian Institution), under CC by 2.0 license.